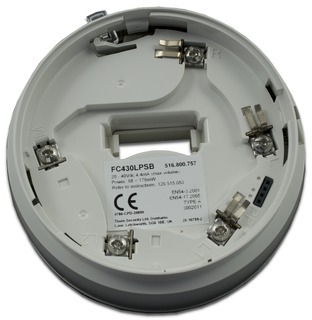 The new FC430LPSB addressable sounder base offers a remarkable saving in terms of installation time and costs. It concentrates 3 functions in one single point: base for FC400 and FC460 detectors, sounder and isolator! Its activation can be programmed and doesn’t depend on the detectors installed on it. It’s possible to select 15 tones and 4 volumes via FireClass 500 Console software.